The Ridgefield School District needs your help in completing the name of its new intermediate school. The school, which will serve Grades 5-6, will be part of the new 5-8 school complex now under construction. The naming process will not affect the middle school. As part of the new school complex, View Ridge Middle School will retain its name and will continue to serve Grades 7-8. 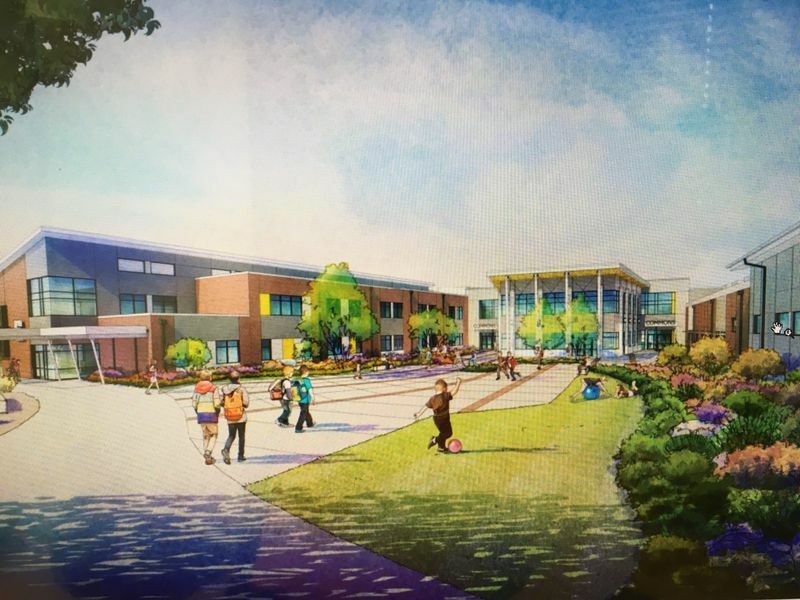 In keeping with the naming standard for existing Ridgefield schools, “Ridge” will be included in the name for the new intermediate school. The proposed name for the new school is: _____________ Ridge Intermediate School. The search is now on to find the most appropriate “fill-in” that would best complete the school’s name. We welcome all your ideas and suggestions! For each nomination, please tell us how you came up with it and why you feel it would be a good fit in naming the new intermediate school. Please email your nomination(s) to carolyn.enos@ridgefieldsd.org in District Communications by Monday, October 23. All entries will be forwarded to Ridgefield School District’s Board for consideration. We value your input in this process and appreciate your participation. Thank you!